Make your digital audio programs accessible by giving it an online headquarters through this collection of website templates. With the popularity of blogs and vlogs in the world of Internet, comes another form of media that has been trending among content readers and viewers. Now, “listeners” is a new tag that has been added to these descriptions as podcasts and audio series are also gaining notoriety. Much like radio programs, this form of audio broadcasting done on the Internet also needs subscribers to monetize every downloaded or streamed episode. 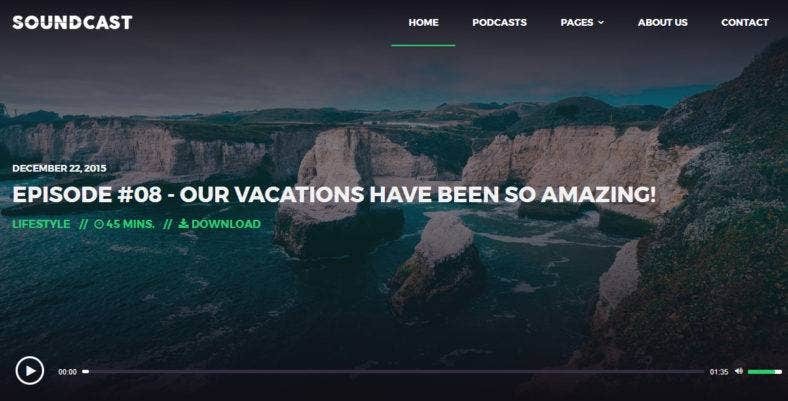 Therefore, we have made this collection of themes for your audio and podcast websites, where you can share your original and interesting content to the world. These templates will certainly break your listeners away from the stale old radio content they are used to. Audonic is a multi-media WordPress theme that is perfect to use for managing your music, videos, podcasts and other media. It lets you set up your music or podcast archives to esnure quick access to your latest and featured items. Audonic has a clean and flexible responsive design with choices of dark and light themes and audio players. It also comes with Theme Options to easily customize front-page headers and custom page templates for its inner pages. A theme built for the single purpose of bringing your podcasts out into the world. Soundcast is an HTML5 template with a modern design that is made for audio and video streaming. It has a custom player but also works with SoundCloud, Youtube, and Vimeo for better flexibility. Soundcast also comes with a bunch of awesome features such as its multiple forms to list podcasts and posts, a fully responsive and retina ready design, and is SEO optimized. It is also built in Bootstrap and JQuery for easy customization. 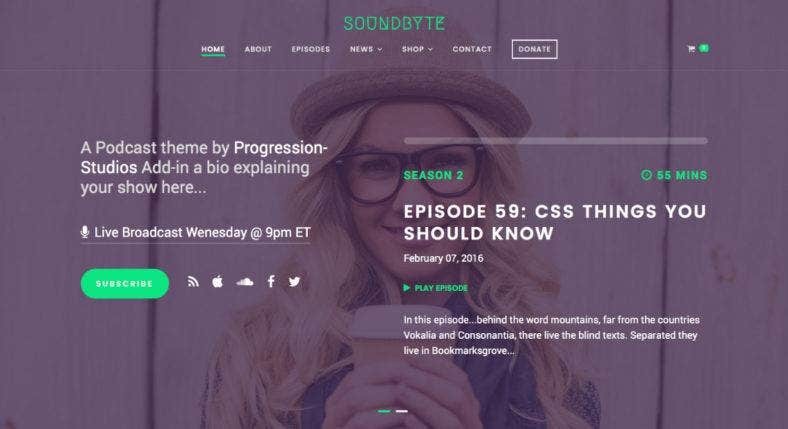 Soundbyte is a beautiful WordPress theme for audio and video podcasts. One of its essential built-in features is its premium audio and video player that supports multiple devices. It also includes the Drag-and-Drop page builder to let you construct your pages effortlessly. With unlimited colors and powerful theme options, you can easily modify and completely change the look of your website. Soundbyte is also fully responsive integrated with the best SEO practices to ensure a great user experience. 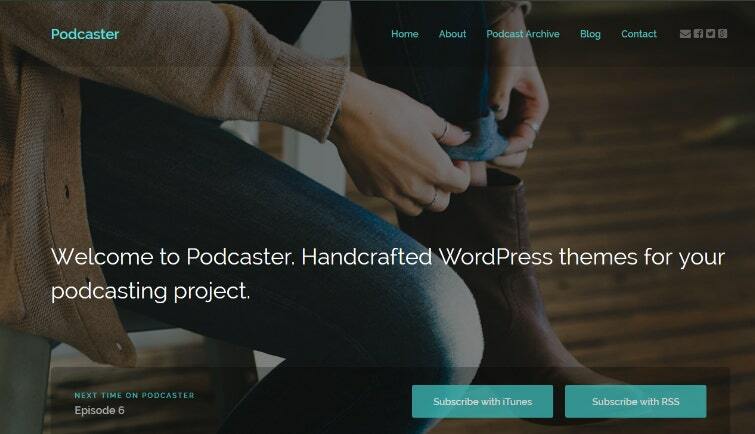 Another responsive WordPress template with a clean but flexible layout, Podcaster is a great theme to use to manage your podcasts and screencasts. It supports oEmbed as well as native audio and video players and includes podcasting plugins to optimize your content. Other features include Theme Options to help you customize the look of your pages, a front page which lets visitors access the newest installment, a podcast archive that lets you set up featured images of your entries, pages that fully supports all post formats, and much more. Viseo is a podcast, news, and video WordPress theme that has a simple but elegant aesthetic. Without any coding experience, this template allows you to build and manage your website with a Drag-and-Drop Page Builder, along with unlimited color choices. 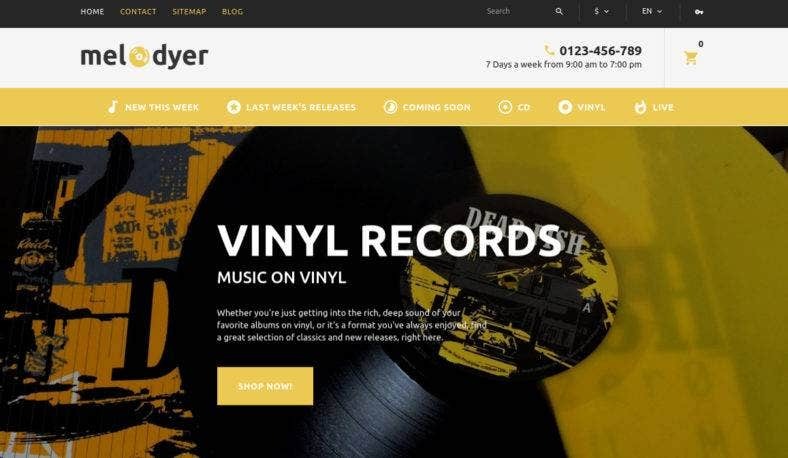 A fully-featured WorPress theme, Viseo includes a demo importer so you can have your website running in minutes, an eCommere platform so you can sell your audio products online, and a built-in audio and video player so you can locally host your content. Melodyer is a responsive PrestaShop Theme for online audio stores that sells music as well as podcasts. 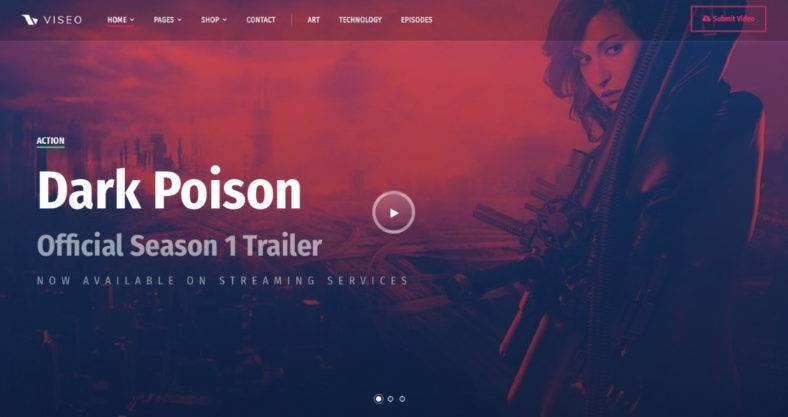 If you’re looking for the perfect theme to sell your audio series and episodes, then this template is the right choice for you. With a useful drop-down menu, a reliable product carousel, a grid layout, elegant image slider, neat widgets, and a blog module, you are guaranteed to bring in more conversions and sell your audio products better. 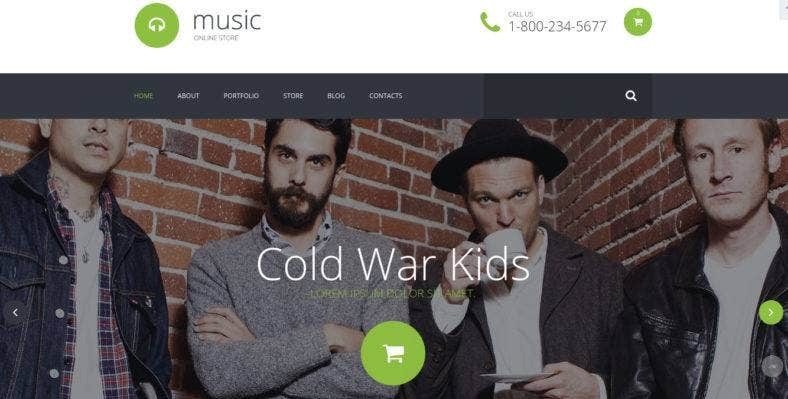 For home-made musicians or independent music producers, this responsive WooCommerce theme is the template that you are looking for. 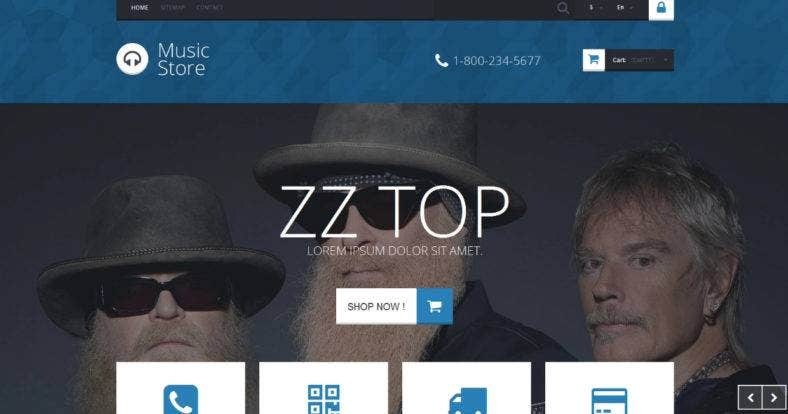 A music shop template, it allows you to showcase your best works and sell them to eager buyers all over the world. It’s an exclusive audio collection template that lets you feature a number of different artists or podcasters in one. This template is packed with attributes that make it easy to customize, which includes custom admin panel, advanced theme options, Google web fonts, etc. This is another PrestaShop theme that lets you gather music, podcasts, and audio books in one place. It’s an online library and store template that will certainly attract your audience’s attention with its clean and minimalist layout. It lets you feature corresponding thumbnails for your audio files, arrange them in a list or grid view, with proper product labels, in an intuitive navigation menu. For an effective shopping experience, use this theme for your music and audio online stores. 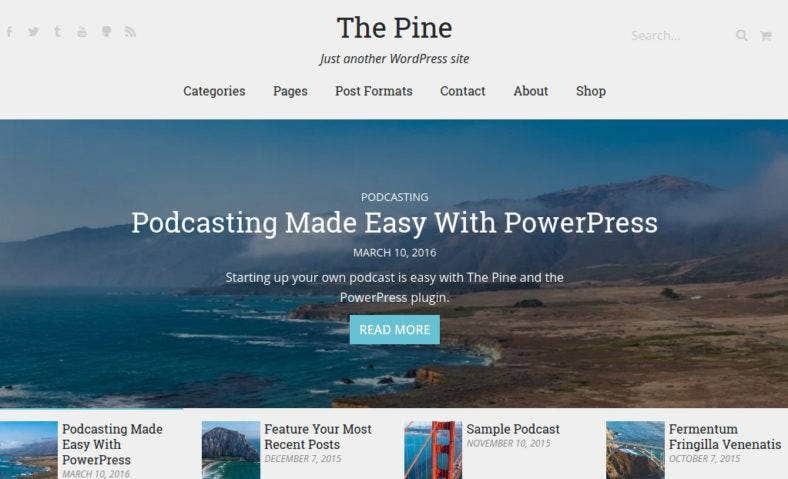 The Pine is a blogging and podcasting WordPress template to be used as a digital products store and blogs. It supports the popular Easy Digital Downloads eCommerce platform which allows you to sell your digital products such as podcasts easily online. It comes with the Powerpress plugin which is perfect for podcasting. The Pine is also fully responsive and has retina-ready featured images and off-canvas navigation that makes it work well with all screen sizes in all types of devices. Meloul is a dark WordPress theme for music and audio online stores as it is characterized by an elegant and sophisticated color scheme. It is a responsive template that is built with the Bootstrap framework, so it is highly flexible and customizable. Meloul lets you upload your music and audio products, such as podcasts, as well as video products like tutorials and vlogs. It supports most formats such MP3, M4A, and OGG for audio; and MP4, M4V, and OGV for videos. 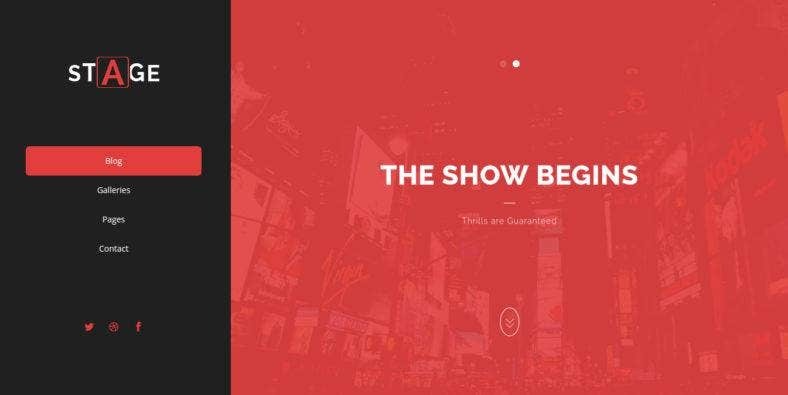 A clean and minimal WordPress theme, Stage has a simple grid-based layout that is easy to use for developers and easy on the eyes for the viewers. It’s a blog and portfolio template that can also be used to collect your favorite podcasts in one place or showcase your audio projects. Aside from being clean and minimal, Stage also has a fresh and modern look that most creative websites have. It also includes a powerful built-in portfolio system that allows you to create multiple portfolio pages and organize different types of audio or video files. Podcasters have been gaining in number nowadays. So in order not to get left behind, make sure to get one of these awesome themes for your podcast and music websites. And if you’re selling your audio products, we’re sure our chosen eCommerce templates will help you generate more leads and sales.